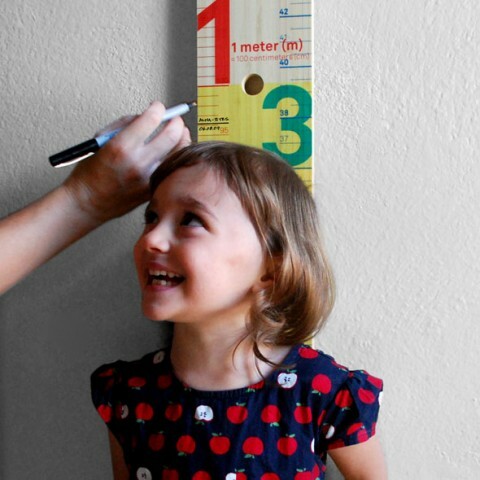 How incredibly cool is this MeasureMe Stick that transforms the traditional ruler into a playful, modern growth chart. Pretty! 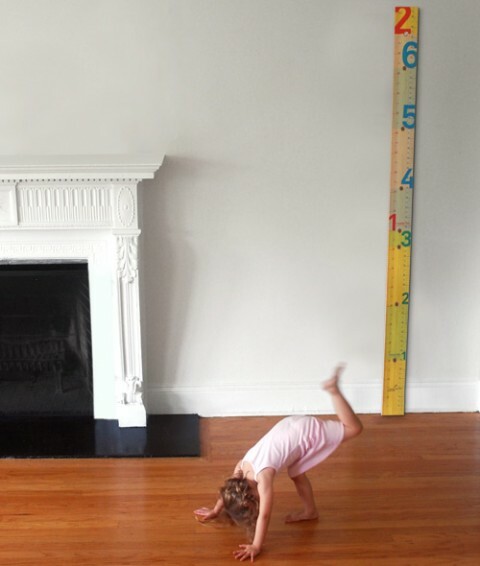 In fact, this would not only be cool for Ella’s room but in our living-room in general. We could add all our friends that stop by. Oh yeah, check this one out. it’s all fun and games until it falls of the tiny knob and kills someone. My wife was making her own charts with a wood plank and some nice illustrations painted on them for our friends’ kids. The nice thing was that they were movable. 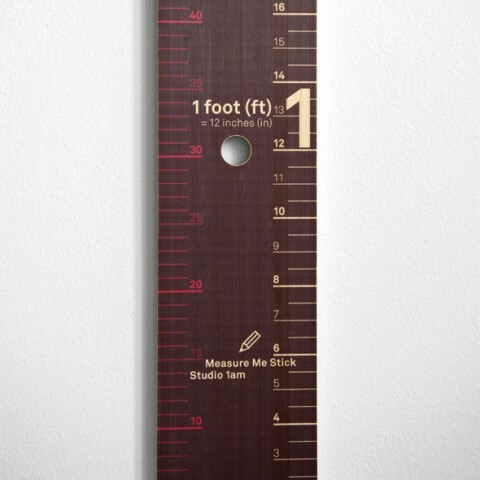 Scribble, I like the tree growth chart, but it seems like $85 is a little steep for just a decal. @Ganger Design, Ouch, why you gotta be a hater. Its a big decal, what can I say. Plus its not just a decal, its memories and growth captured on vinyl. Can you put a price on that… I didn’t think so, HA HA! I must say that $85 is a tad steep in my mind for that particular product (they aren’t being a hater!). Well I guess I better reduce the price if I’ve heard it from more than one person. So let it be, so let it be written. It is now $70, or is that still too much? Actually I figured out a way to reduce it down using less material so its now $60. That should do it… right?